Since I currently live in the Butchertown neighborhood of Louisville, I often keep a close eye out for restaurants that open in the areas close to where I reside. One such area that gets a lot of my attention is the Clifton one. 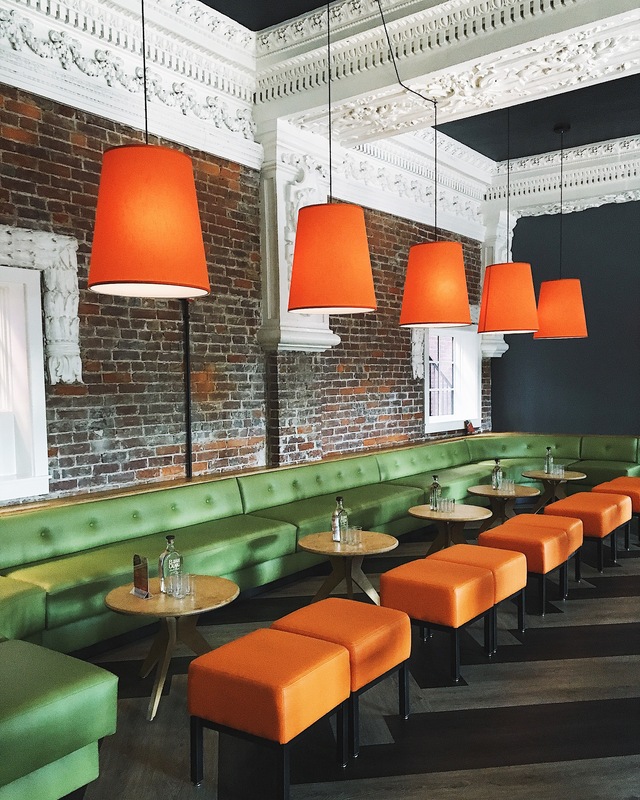 This part of Louisville is known for it’s long-standing culinary presence, and recently Red Herring was added to Clifton’s roster of must-visit restaurants. Red Herring opened in May of this year in the historic Hilltop Theater on Frankfort Avenue. It serves 100 of the most influential classic cocktails, inspired by award-winning bartender Clay Livingston, along with house-crafted recipes, adult milkshakes, artisanal wines and even regional craft beers. With a menu that caters to all, the establishment’s dishes are created by chef Jacob Coronado, and meant to complement the drinks Red Herring offers. Food that can be eaten by hand alongside my favorite cocktail? I’ll definitely raise a glass to that!